This listing is for return address printing ONLY on envelopes to go with note cards/stationery you have purchased from The Enchanted Envelope. Please purchase this listing ONLY if you are purchasing note cards from "The Enchanted Envelope." NOTE: If you are interested in purchasing our envelopes with a return address printing WITHOUT purchasing note cards from our shop, please contact us directly for prices. -You will receive the envelopes that match your stationery, unless you purchased upgraded Kraft envelopes. 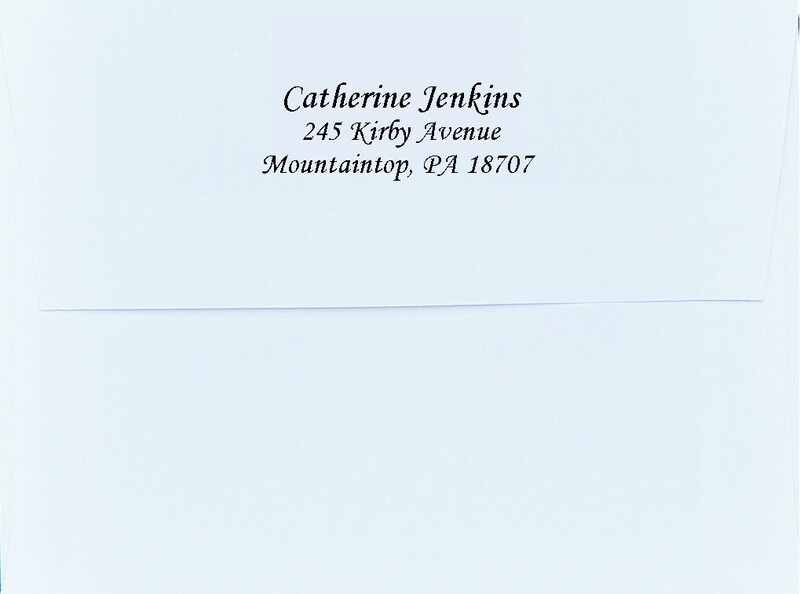 So, if you purchased white stationery, you will receive white envelopes with your address printed on the back flaps. If you upgraded to Kraft envelopes, then we will print your return address on the Kraft envelopes. 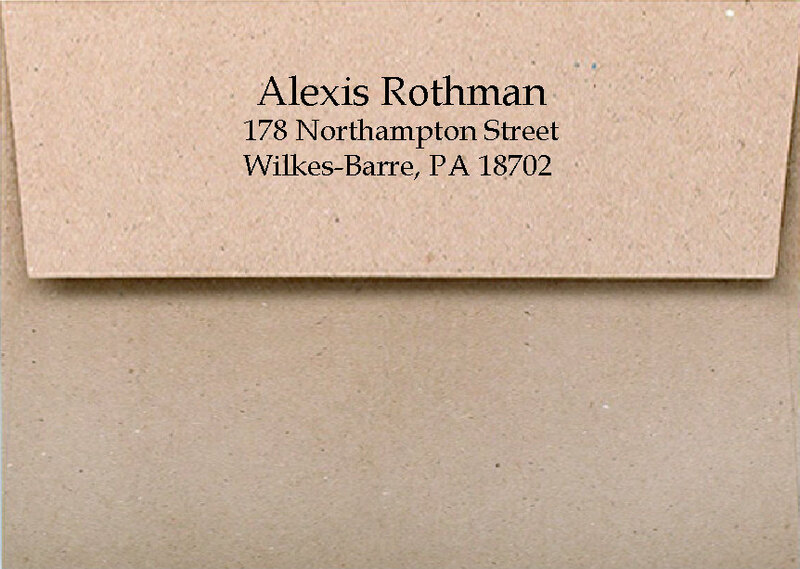 If you purchased linen note cards, we will print your return address on matching linen envelopes. -Then, check the options listed in the drop down menu. They match the quantities for which we sell our note cards/stationery. So if you are purchasing a set of 36 note cards, please select the 36 option in the drop down menu. That is the cost of adding the return address printing for your 36 Kraft envelopes. You will pay the additional cost of the upgraded Kraft envelopes when you buy the note cards. -Please choose the font you would like for your return address. The font on the LEFT is Book Antiqua. The font on the RIGHT is Monotype Corsiva (more cursive-looking). The font on the white envelope is also Monotype Corsiva. -The ink used will be black on Kraft envelopes. -On the white envelopes we will match your ink color for return address printing with the ink choice on your note cards/stationery. Wonderful Stationary! Great quality and great customer service...I'll be back! Great Job! Quick to respond and the product is beautiful.